"Papa why Ni never answer me likes the kids at school?" "Ni is special love. Remember what we told you? He can't hear so everything is different with him." "Is that why I learning the hand talking? I just wish I cans play with him and tell him I loves him like other kids do with their brothers." "Yep, so you can talk to Ni when you're playing. But you can show him you love him. Remember, actions speak louder than words." 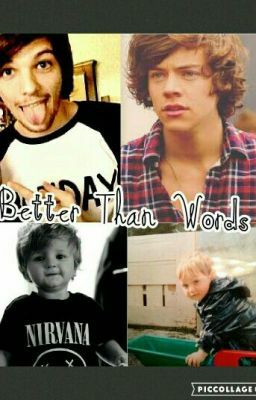 "Better than words?" "Yes baby, better than words." Sequel to But I'm a Boy Larry Mpreg. It's four years later and the twins are just starting to become self aware. Read as the family juggles Niall's condition and Ashton's struggle to bond with him along with simply just raising twin boys. You DON'T HAVE TO READ THE FIRST ONE TO UNDERSTAND THIS BOOK.